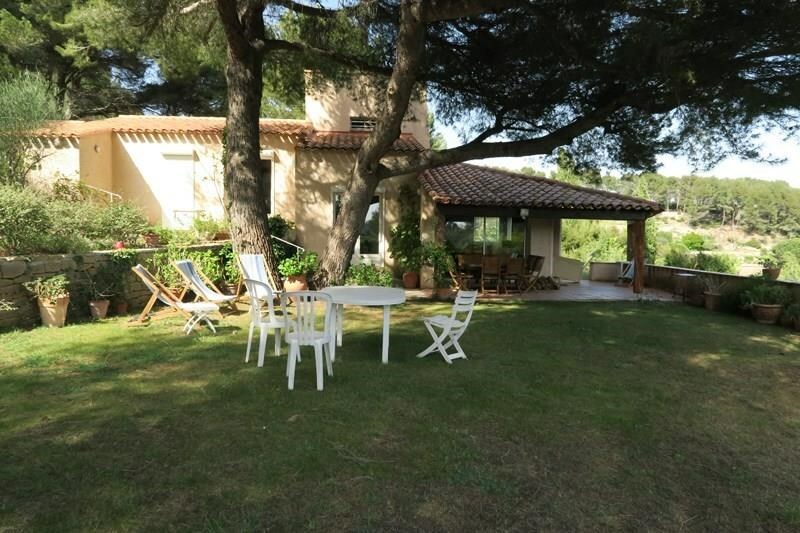 Located in the middle of the hills of Beausset-Vieux, beautiful and spacious Provencal house with swimming pool (9 x 4m), terraces, garden and large land. Superb clear view of the surrounding countryside. WIFI internet access - 8 persons maximum. Charm, calm, space, a beautiful pool: there is nothing missing you !! Located Cambeiron road, villa composed of a large living room opening on a beautiful terrace with adjoining garden, a TV lounge, a dining room, a fully equipped kitchen + utility room, three bedrooms each with their bathroom , a mezzanine room serving as 4th bedroom extra, a toilet with washbasin independent. Two additional toilets. Parking several vehicles without any problem at the foot of the villa. 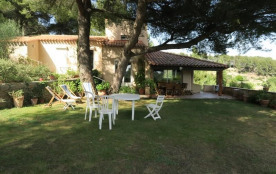 Ideal for a family or several couples looking for calm and tranquility of a property with pool while being only 20 minutes from Bandol and Sanary sur Mer, their ports, beaches and shops, not to forget the villages of Castellet and Cadière d'Azur, the road of Bandol wines that are only few minutes away from your vacation spot. The famous circuit of Castellet (circuit Paul Ricard), which hosts this year the Grand Prix of France F1 is only 12 kms. Possibility of renting sheets, towels and linens. Le Beausset - 8 ppl.